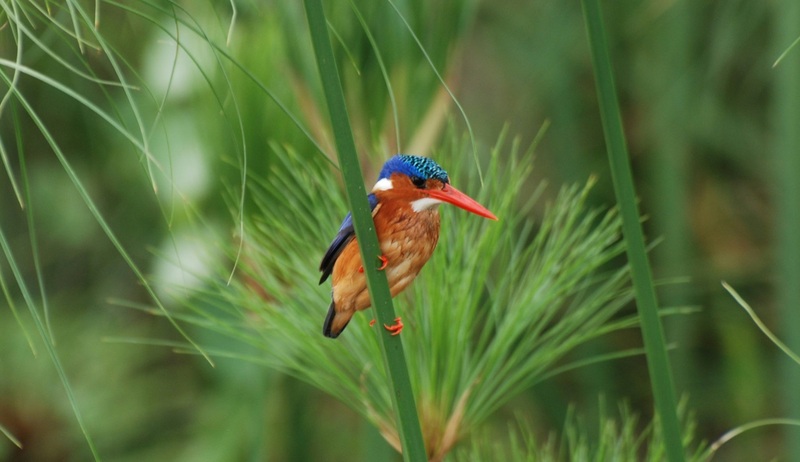 Staying in first-class accommodations throughout, this fantastic itinerary will allow you to discover all of Uganda’s wildlife highlights in ultimate comfort. 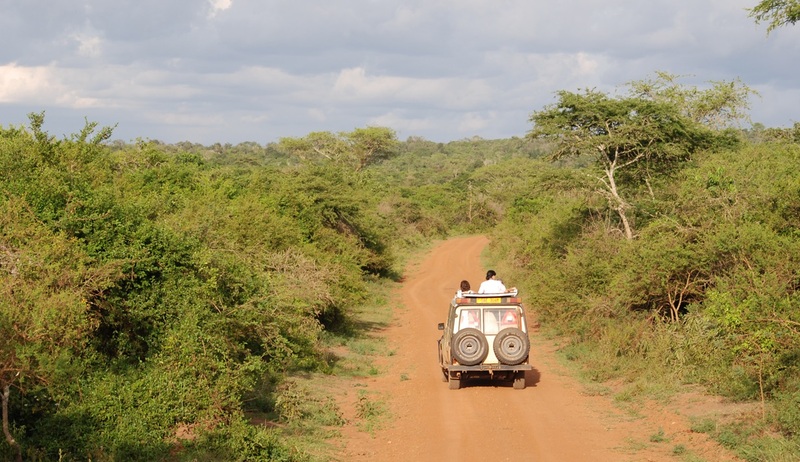 Travelling via 4wd Land Cruiser in the company of an expert driver and guide, you will visit 4 of Uganda’s finest National Parks to enjoy some of Africa’s most impressive wildlife experiences. 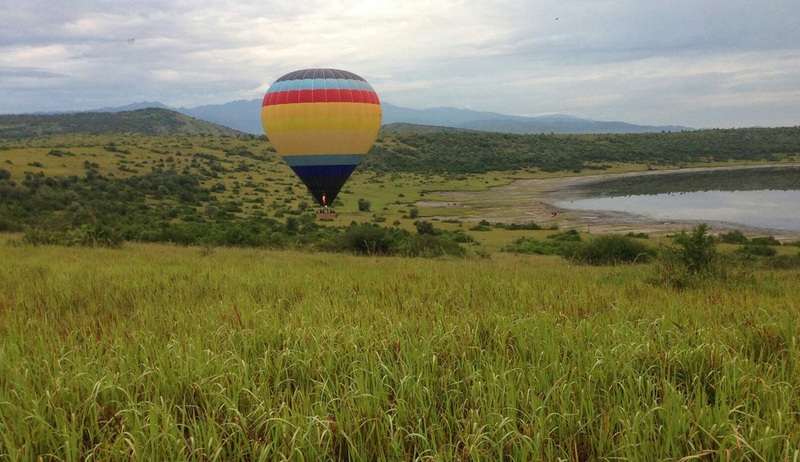 From up-close encounters with the famous mountain gorillas to chimpanzee tracking and thrilling game drives, this truly wonderful itinerary will showcase to you all that this remarkably diverse country has to offer. Prices shown are per person, based on 2 people sharing. There is a single room supplement of $930. Prices do not include international flights but these can be arranged as part of your package. Please note: The gorilla tracking experience will require a walk of between 2 and 8 hours through sometimes muddy conditions, and so participants will require an average level of fitness. Set departure dates for 2018 include: 26th July, 13th August, 1st September, 20th November. 2019 dates available on request. Speak to someone who’s been to Uganda. Start planning your tailor-made trip by calling one of our friendly destination specialists on 0800 195 3385 or 44 1625 581143 for outside the UK. Welcome to Uganda, the “pearl of Africa”! 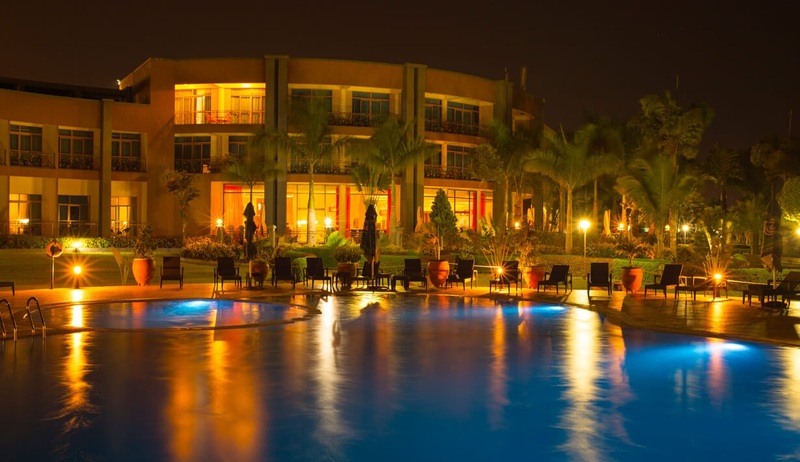 Upon arrival at Entebbe International Airport a representative will be waiting for you to drive you to the Protea Hotel for your included overnight stay. Enjoy a comfortable night’s sleep in this modern hotel overlooking Lake Victoria in preparation for the adventures that lie ahead. Overnight stay at the Protea Hotel with breakfast included. Today your adventure truly begins and after an early breakfast at your hotel you will be collected by your English speaking driver and guide to begin your journey through some of Uganda’s most remarkable National Parks. Travelling in a comfortable 4wd safari land cruiser your 330km journey to your first stopover, Kibale Forest National Park, will begin. The journey is likely to take in the region of 5 hours but the spectacular scenery along the way is sure to keep you more than occupied. Along the way we will stop at Fort Portal for lunch. Fort Portal rests in the shadow of the fabled “Mountains of the Moon” and is famous for its many tea plantations and you will have time for some photo opportunities before continuing on to Kibale. Kibale Forest is home to the greatest variety and concentration of primates found anywhere in East Africa, including over 1000 chimpanzees. Tomorrow you will have the chance to get up-close to these intriguing animals so after a delicious dinner at the lodge a good night’s rest is in order in preparation for a new day of adventure. 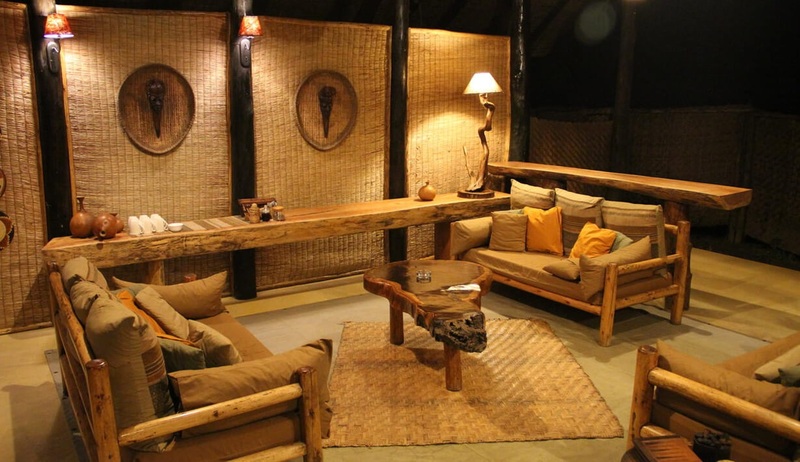 2 nights accommodation at Kibale Primate Lodge in a luxury cottage with breakfast, lunch and dinner. Today it’s time for one of the highlights of your trip as we take the short walk into the forest to begin your chimpanzee tracking experience! 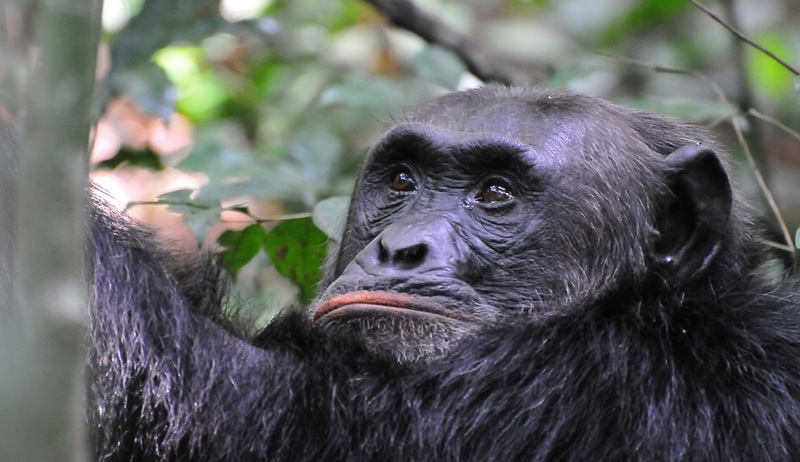 Kibale Forest is home to the greatest variety and highest concentration of primates in East Africa, and is renowned as being the best place to see chimpanzees in their natural habitat. 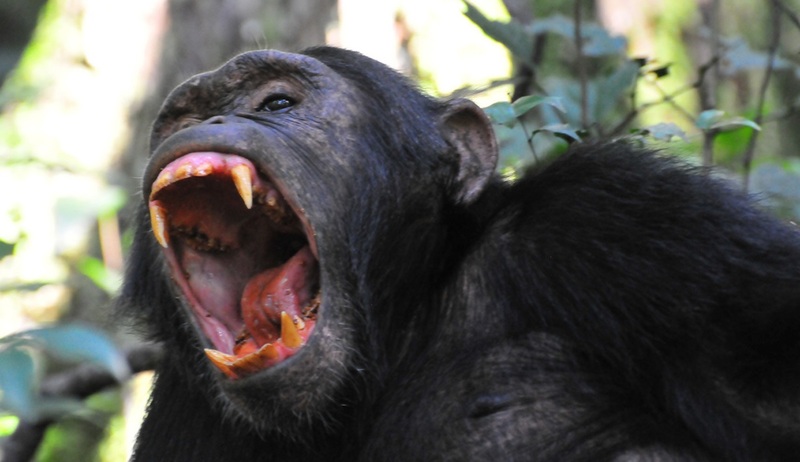 After a pre-tracking briefing you will begin your hike into the forest to visit a large habituated family of chimps that consists of over 120 individuals. 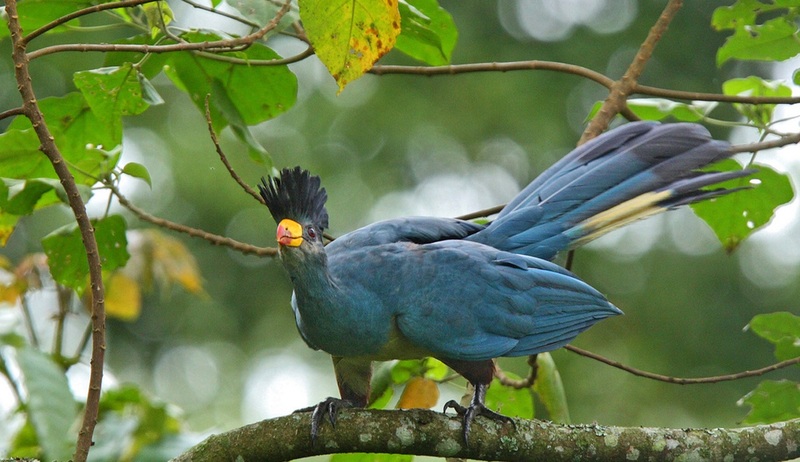 Along the way you are likely to spot some of the forest’s fascinating residents including other primates and bird species such as the blue breasted Kingfisher, black billed Turaco, Pied Hornbill, Chestnut winged Starlings, and your informative guide will tell you all there is to know about this beautiful forest and its unique flora and fauna. Upon sighting the chimpanzees you will have an hour to observe them, soaking up their captivating behaviour as they climb through the trees, groom, growl, feed, and take care of their young. An unforgettable experience that will no doubt leave a lasting impression. 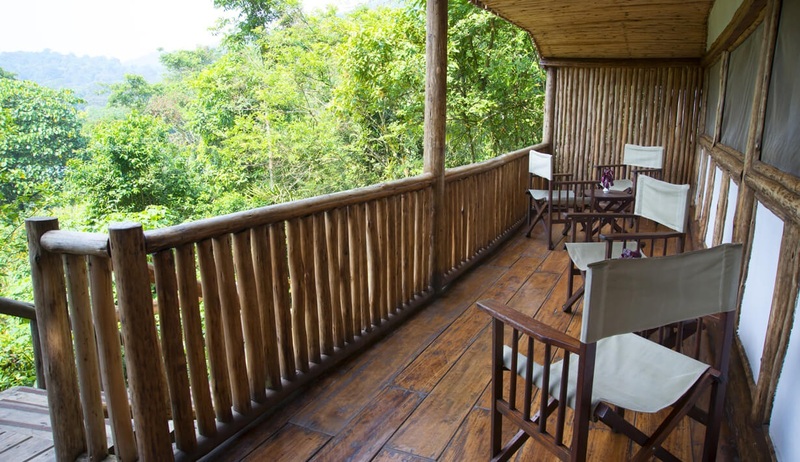 After your exciting morning tracking the chimpanzees you will head back to the lodge for lunch before travelling to the nearby Bigodi Swamp for a very different nature experience. 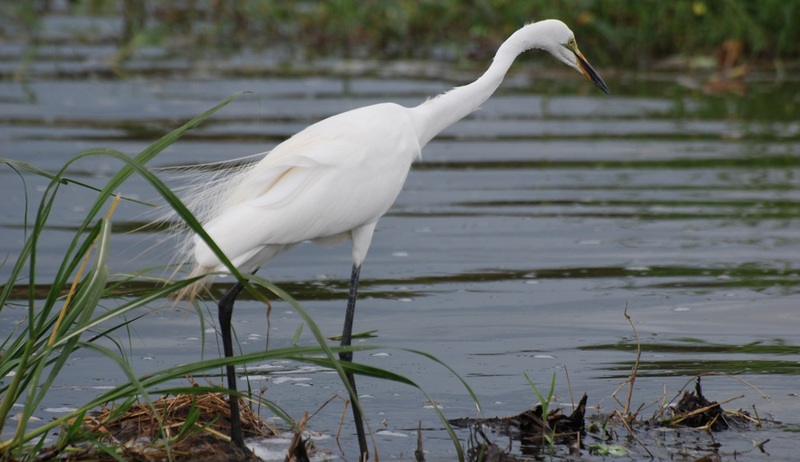 Here you can enjoy a guided swamp walk, an initiative of the local community, to discover the area’s rich diversity of birds and primates. In the early evening we return to the lodge for dinner and a well-deserved rest. 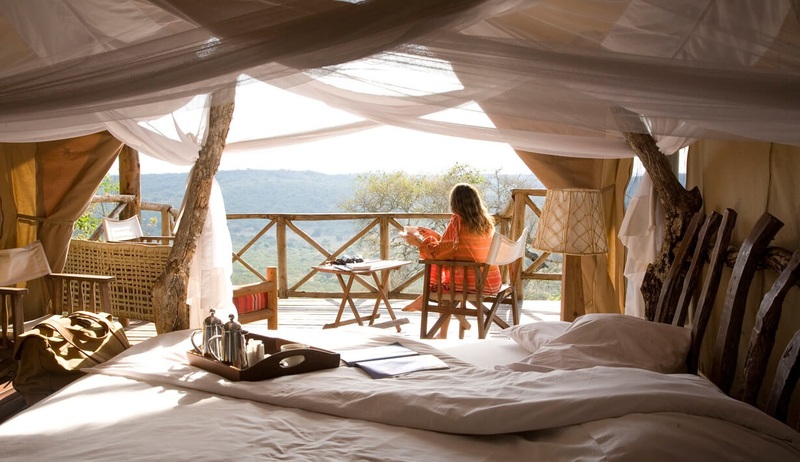 After breakfast at the lodge you will set off for the next stop on your itinerary, Queen Elizabeth National Park. Your journey will take in the region of 3 hours across the majestic foothills of the Rwenzori Mountains, also known as the “Mountains of the Moon”. 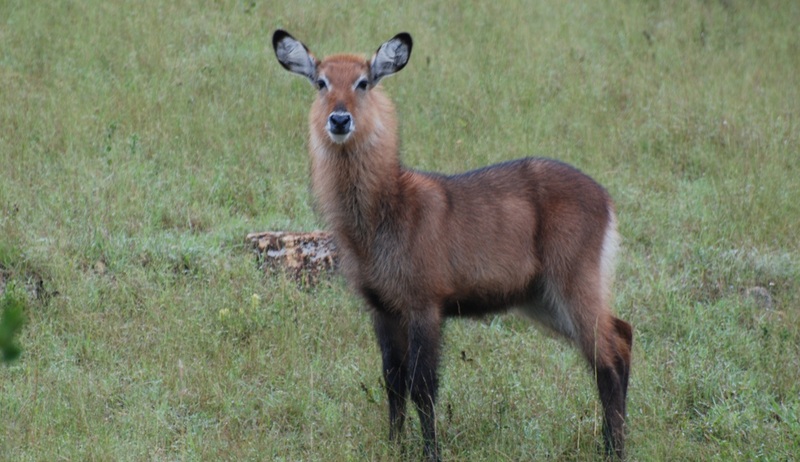 En route we will explore the scenic crater lakes region that surrounds the dense forest of Kibale National Park before reaching the exceptionally beautiful Queen Elizabeth National Park. 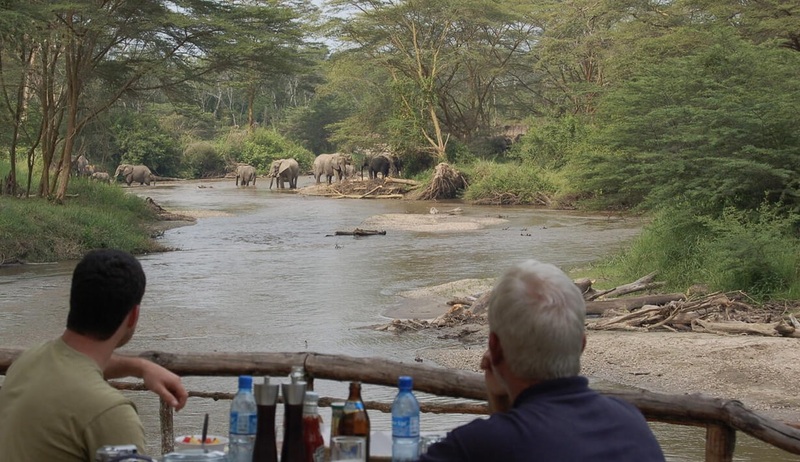 This remarkably scenic national park’s landscape is as diverse as its abundant wildlife population, with its green savannah plains with small acacia and euphorbia trees giving way to sunken crater lakes and swamps, bounded by the snow-covered peaks of the Rwenzori Mountains. 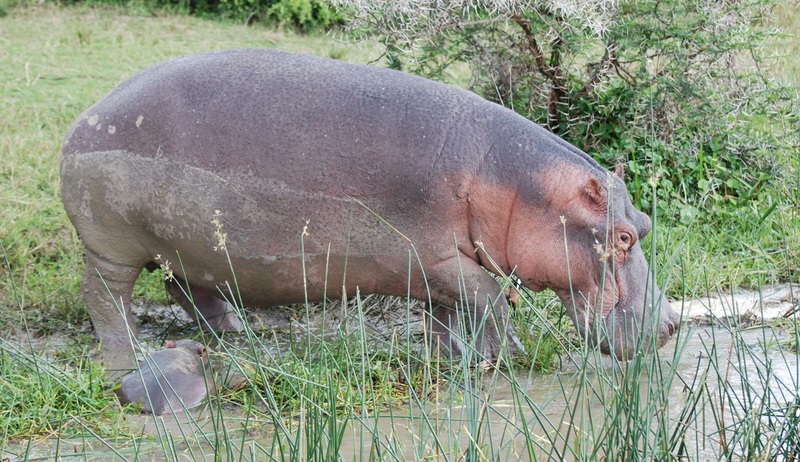 Home to 95 different species of mammals including lions, elephants, Uganda Kobs, elephants, hippos and crocodiles, the area also has the highest number of bird species found in any national park in Africa with over 600 having been recorded. Upon arrival at the beautiful Katara Lodge you can enjoy an afternoon at leisure soaking up the scenic views or enjoying a refreshing dip in the swimming pool. 2 nights accommodation in Katara Lodge with breakfast, lunch and dinner. This morning we begin bright and early and head into the park for an exciting game drive experience to the mating ground of the Uganda Kobs. 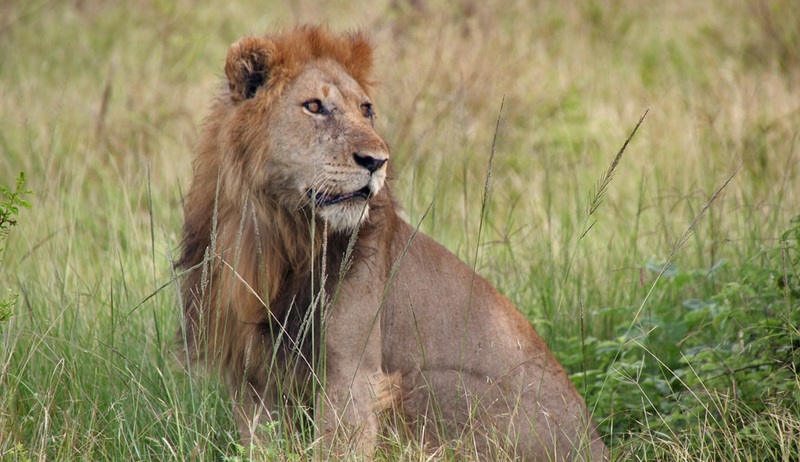 As we drive through this scenic park you will be on the lookout for lions, elephants, buffaloes and other wild animals in their natural habitat. 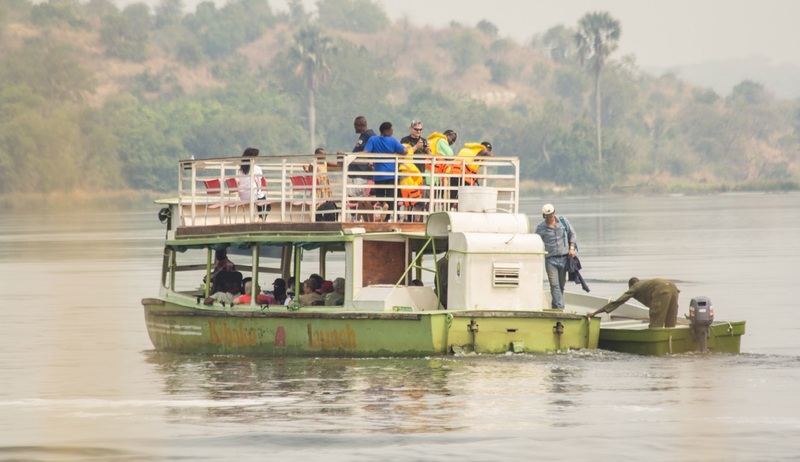 After an adventurous morning we will take a relaxing afternoon boat cruise along the Kazinga Channel, a natural channel between Lake Edward and Lake George, to enjoy sightings of the world’s highest concentration of hippopotamus, Nile crocodiles, buffaloes, elephants and a multitude of birds. This 2 hour boat ride with snacks and beverages included will take us along a 14km stretch of the channel before we return to the lodge to enjoy a delicious dinner and some relaxation after what will have been an adventure-filled and memorable day. After breakfast this morning our day will start with a further game drive through the park as we travel south towards Ishasha and the next stop on our itinerary. 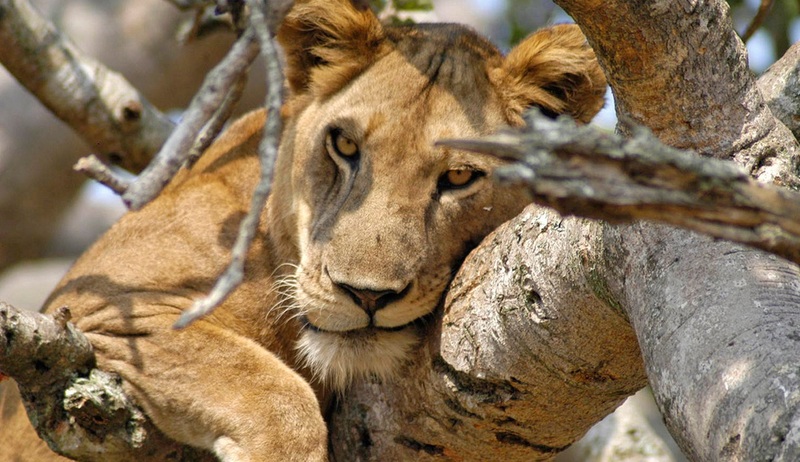 This part of the park is famous for its tree climbing lions, and after lunch and a bit of relaxation we will take a game drive through the area in search of sightings of these beautiful animals lounging in the fig trees. 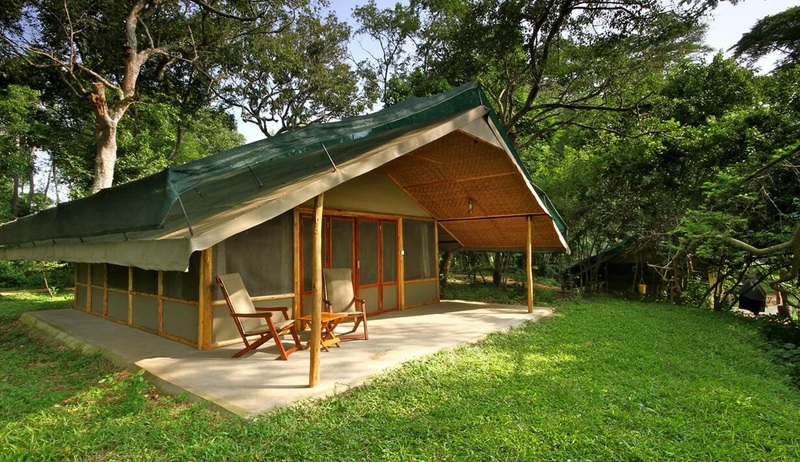 Overnight accommodation at Ishasha Wilderness Camp with breakfast, lunch and dinner. Our last day in Queen Elizabeth National Park begins with an early morning game drive in search of sightings of lions, elephants and other wildlife in action, before a thoroughly enjoyable bush breakfast in the middle of the wilderness where you can sit back and listen to the early morning sounds while the chef prepares a delicious full English breakfast. 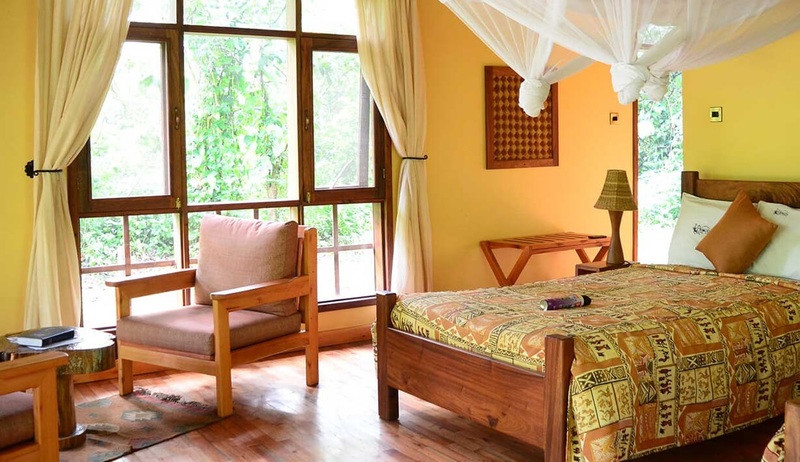 After a game drive back to the lodge it will be time to pack up your things and start your journey to our next destination, the remarkable Bwindi Impenetrable Forest National Park, home of the endangered mountain gorillas. 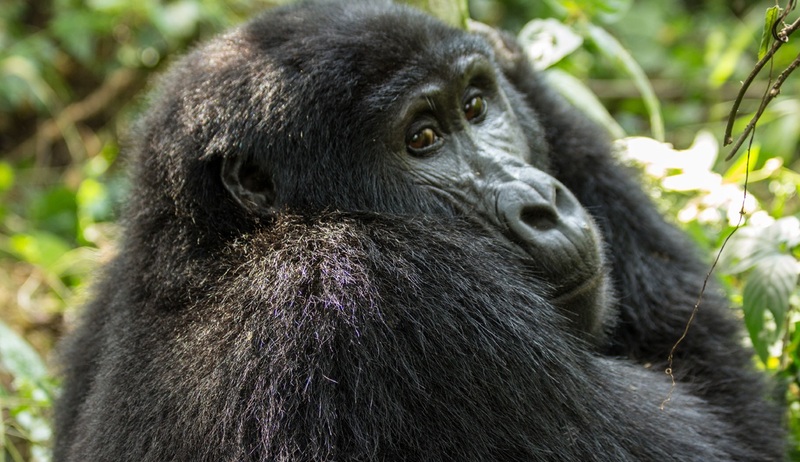 Bwindi is home to almost half of the world’s mountain gorilla population and is quite simply the best place to observe these gentle giants at a close distance. 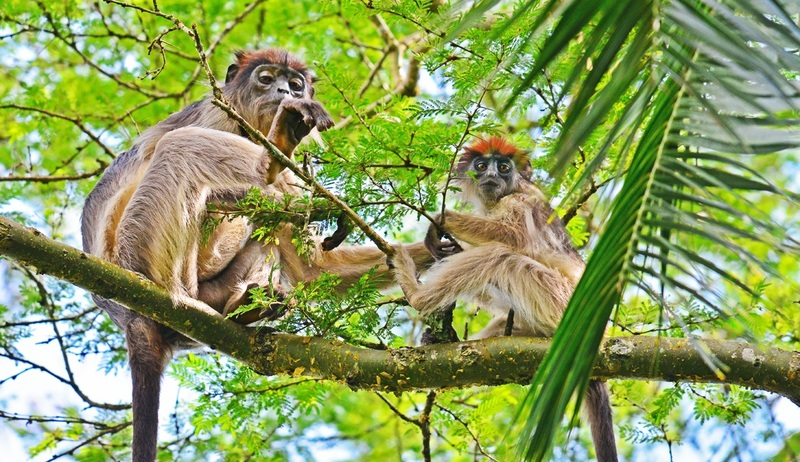 The park is also home to 9 other primates and features spectacular scenery of trails, rivers and waterfalls. 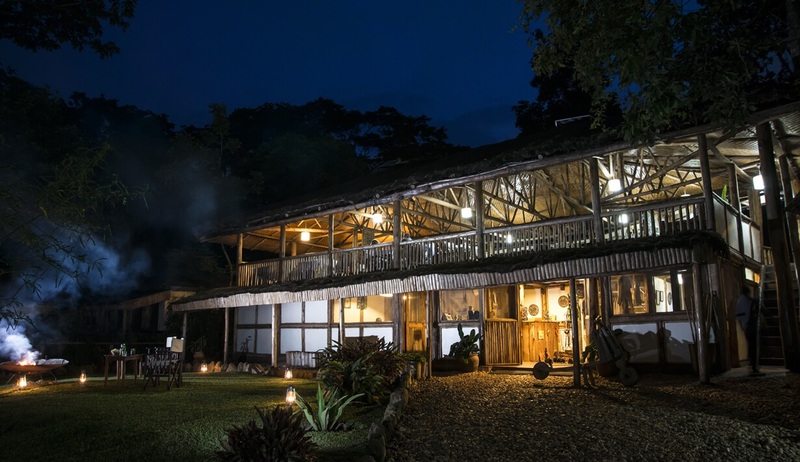 The journey to Bwindi will take approximately 2 hours and upon arriving at Buhoma Lodge within the boundary of the park you can enjoy a delightful welcome dinner and a good night’s sleep in preparation for tomorrow’s mountain gorilla experience. 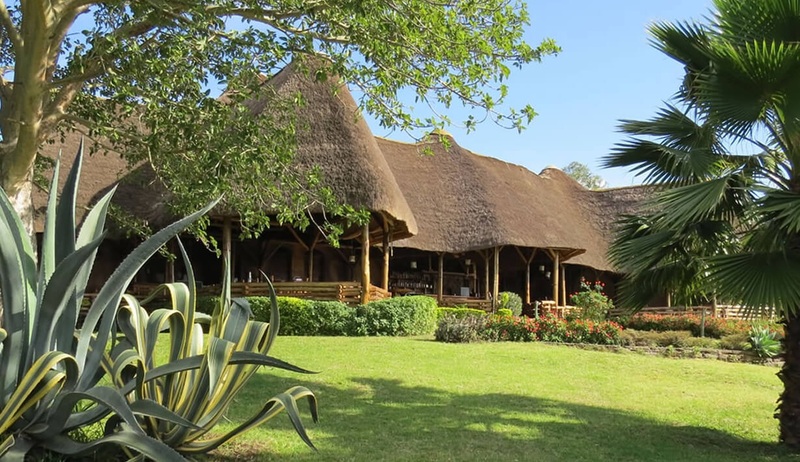 2 nights accommodation at Buhoma Lodge with breakfast, lunch and dinner. Get ready for the experience of a lifetime! 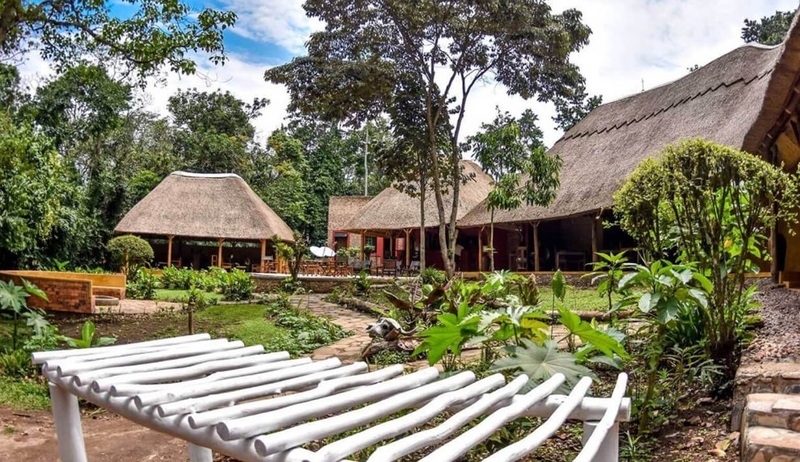 After an early breakfast you will join your transfer to the offices of the National Park where upon arrival you will be allocated a gorilla family, an 8-person group and a gorilla trekking guide. After a briefing into what lies ahead, including safety precautions and an introduction to the behaviour of the gorillas, you will be driven to the trailhead for the start of your thrilling adventure. Depending on the gorilla family that you have been allocated the trek to see them can take anywhere from 15 minutes to 6 hours so patience and an average fitness level are required. The terrain can be muddy, and rainy weather is likely, but as you trek through the jungle the anticipation of seeing these gentle giants in the wild, along with the spectacular views and likely bird sightings on offer, is likely to be more than enough distraction from that. And we can almost guarantee that when you come face to face with these majestic animals the trek will soon become a distant memory! Upon sighting the gorillas your group will be allowed one hour with them to watch them as they go about their daily lives; feeding, moving, playing, wrestling and feeding their young – this will be a totally unique and unforgettable experience! 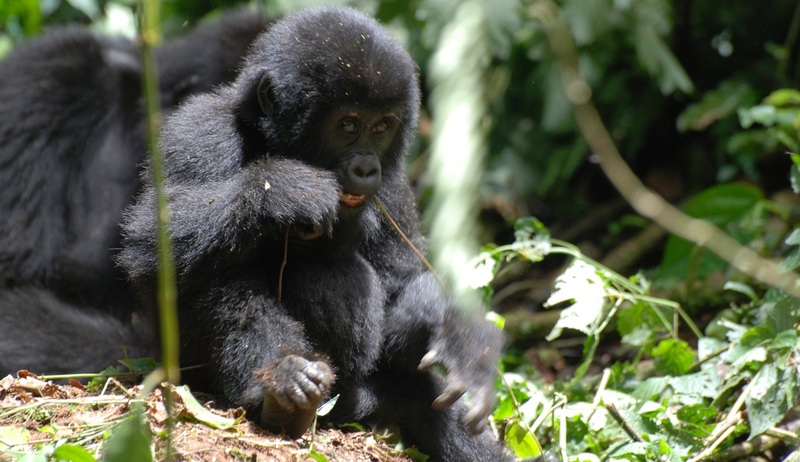 Gorilla trekking experiences in Bwindi have been designed to ensure that numbers are kept to a minimum whilst still offering the experience of seeing these animals in the wild so that more can be done to protect them and ensure the species’ ongoing survival. The vast majority of your gorilla permit cost goes to protecting these vulnerable animals and ensuring that their population thrives. 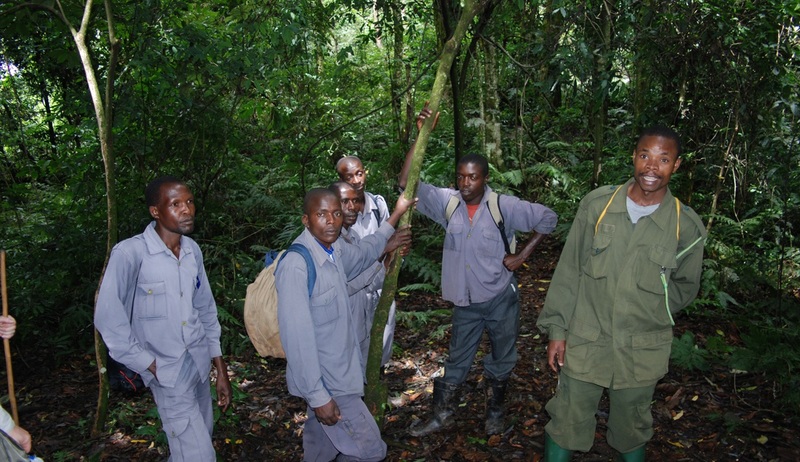 Thanks to these conservation efforts, in the last few years the mountain gorillas population in Bwindi NP alone has increased from 300 to 400! Without tourist visits there would be substantially less funds available to do this. Each of the habituated families of mountain gorillas are only allowed to be visited by one group of eight people per day, and only 72 visitors are allowed each day. 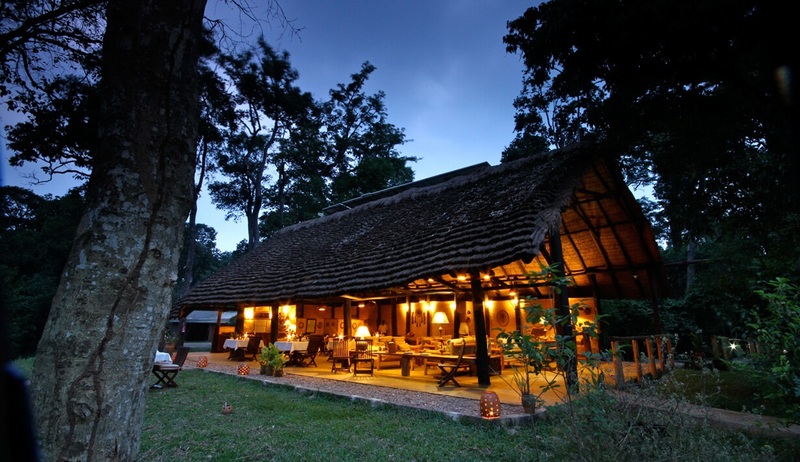 After your thrilling experience of witnessing the famous mountain gorillas up-close, your guide will lead you back to base where you will be transferred back to the lodge for a delicious dinner and the chance to reflect on what may well have been the greatest wildlife experience of your life. After breakfast this morning we will make our way to the final national park of our tour as you jump back into the land cruiser and head towards the beautiful Lake Mburo National Park. The 390km journey to Lake Mburo will take approximately 5 hours, and along the way we will stop at a restaurant close to the entrance of the park for lunch. 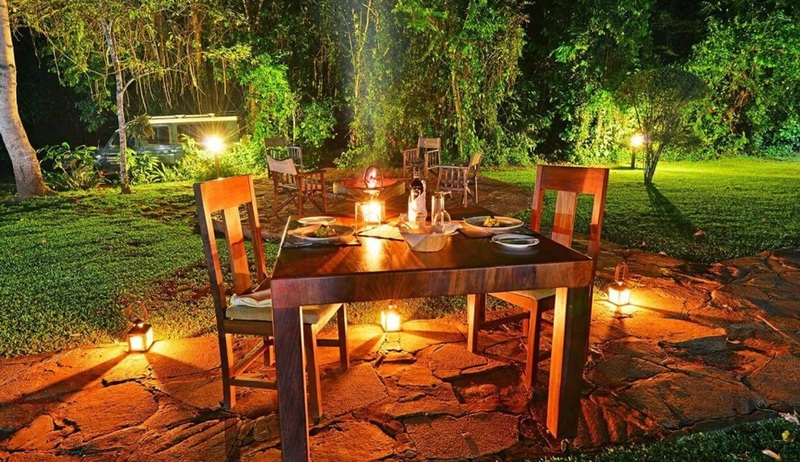 A relaxing game drive through this beautiful park will take us to Mihingo Lodge and after a tasty evening meal you will have the opportunity to partake in an optional night-time game drive. 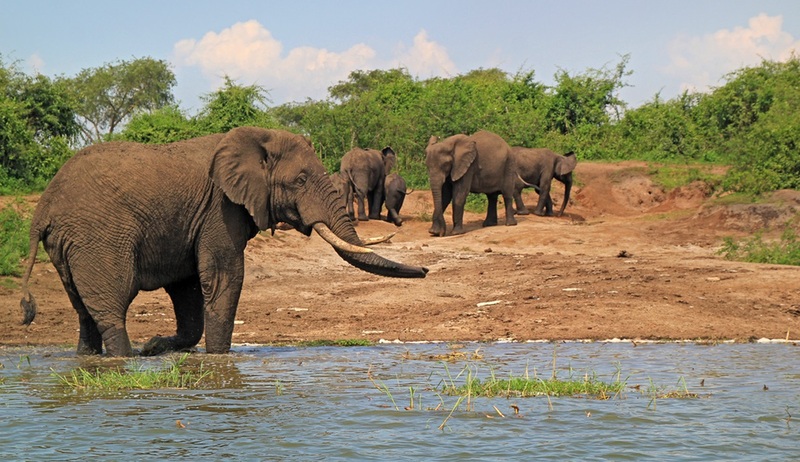 Lake Mburo is the smallest of the Ugandan national parks but it certainly packs a punch in terms of dramatic scenery and fascinating wildlife, and it is also one of the few parks in Uganda where you can watch wildlife after the sun has set. 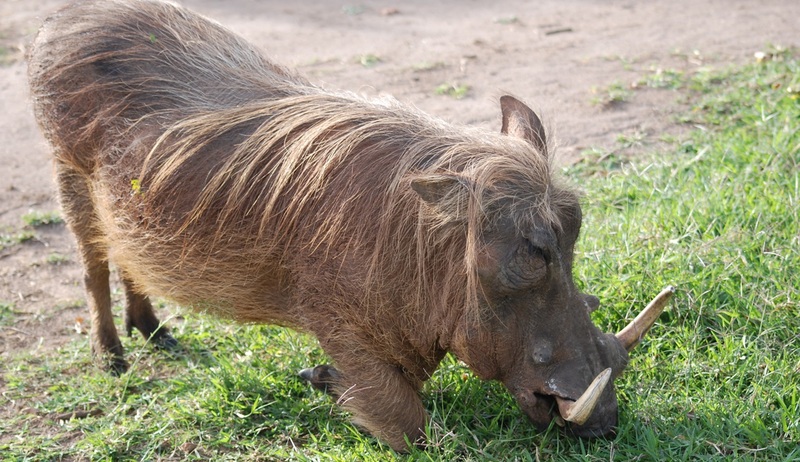 An exciting night game drive offers an unusual twist on regular game drives and allows you to search for a variety of animals that you would not easily see during the day, such as bush pigs, genet cats and white tailed mongoose. 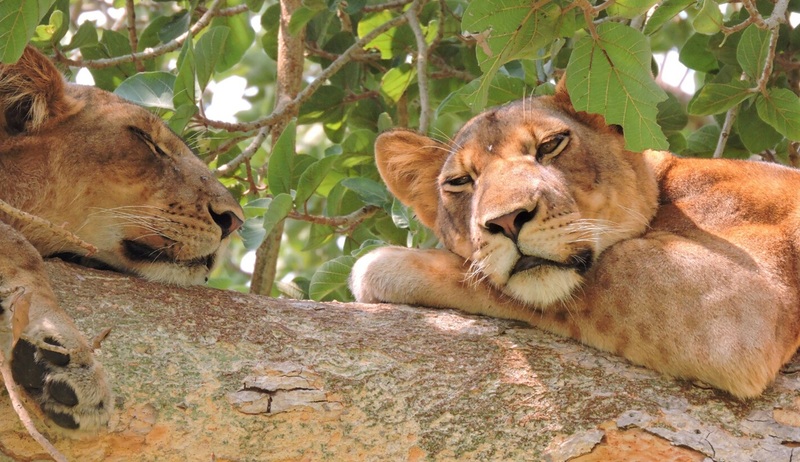 The elusive leopards and spotted hyenas are also best seen at night and with some luck you will be able to spot the one male lion in the park who resides down by Lake Mburo! 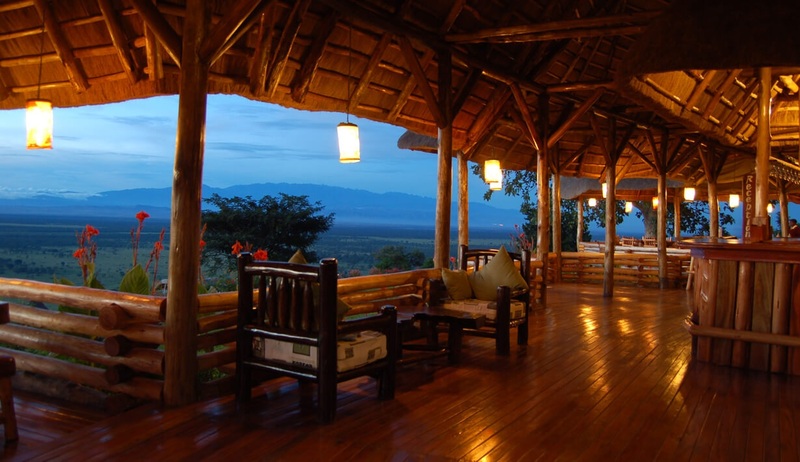 Overnight stay at Mihingo Lodge with breakfast, lunch and dinner. 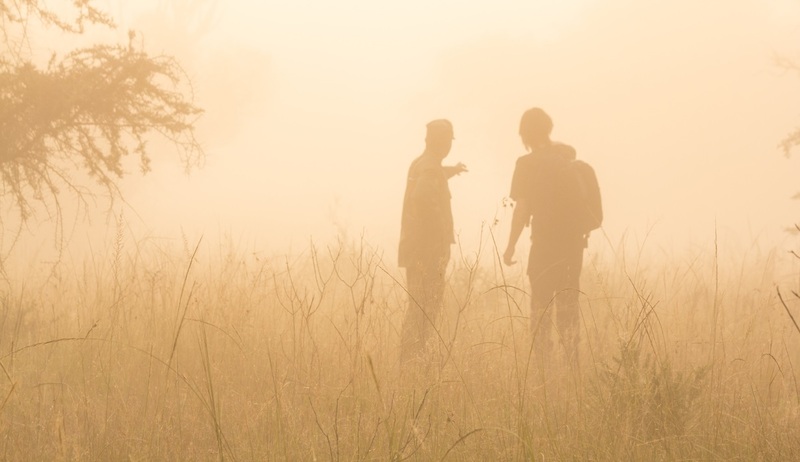 As your truly memorable luxury Uganda safari comes to an end there’s time for one last adventure as you enjoy an early morning guided bush walk. 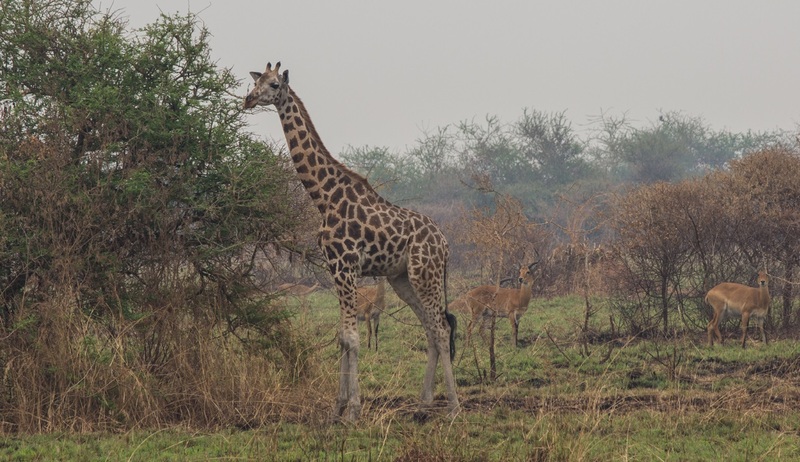 Lake Mburo National Park is home to a wide variety of wildlife including impalas, zebras, gigantic elands and giraffes. 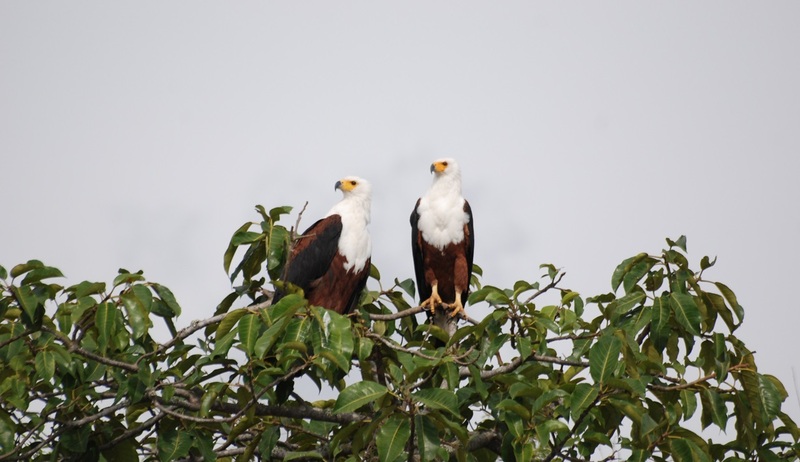 There are also excellent birding opportunities here, with over 315 species having been recorded in the area. 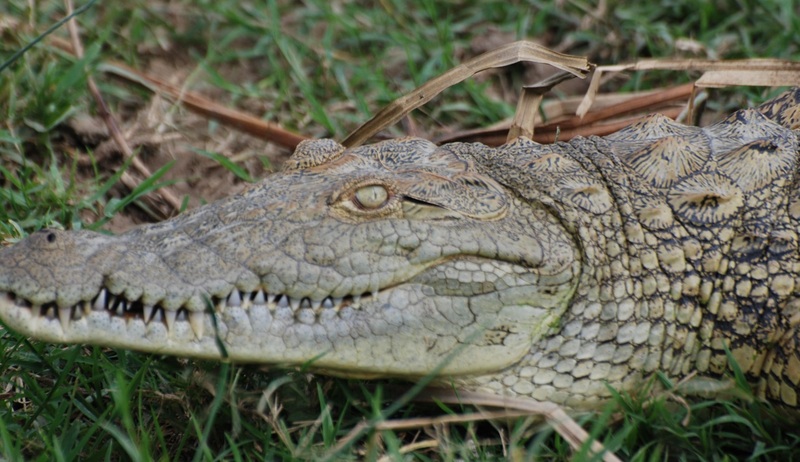 Experiencing a safari on foot will allow you to notice the smaller, often overlooked details and usually brings you much closer to the wildlife than when in a car. 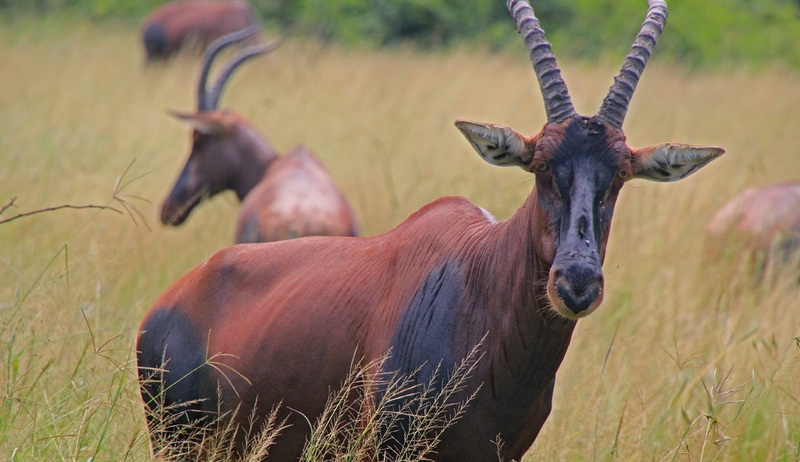 After returning to the lodge for breakfast your driver will be waiting to take you back to Entebbe, with a game drive scheduled along the way. 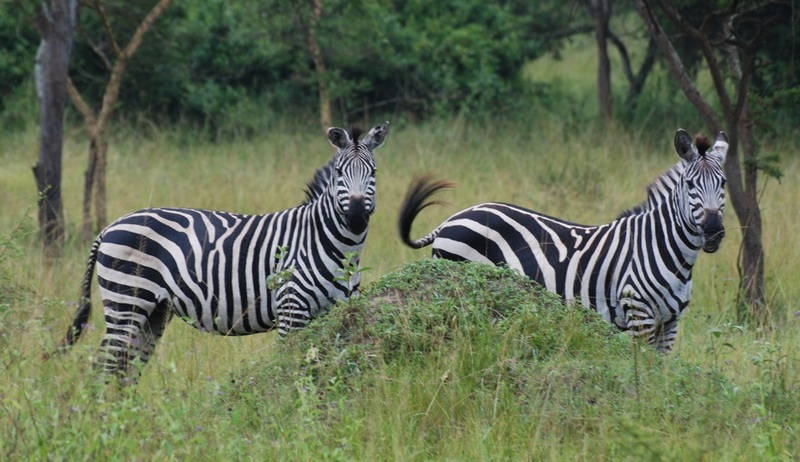 The journey back to Entebbe airport will take approximately 6 hours and as you relax and soak up the surrounding scenery filled with memories of your unforgettable experiences, make sure to keep an eye out for the black-and-white colobus monkeys that will be hiding along the road. En-route we will make a stop at the Uganda Equator for lunch, some souvenir shopping and some photo opportunities before arriving at the airport for your homeward or onward flights. 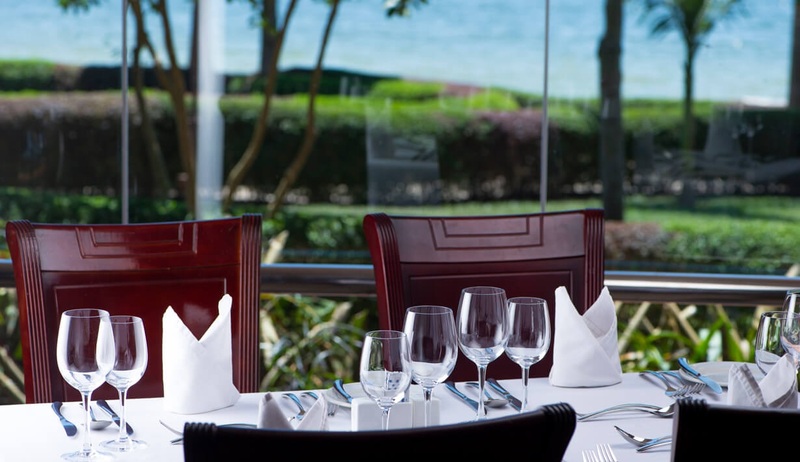 The Protea Hotel by Marriott is a luxurious 4-star resort which offers the ultimate in tranquility along the beautiful shores of Lake Victoria. 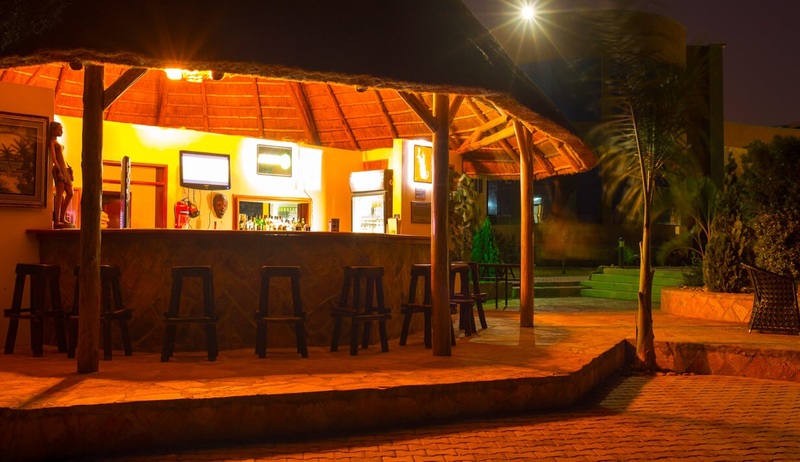 Ideally located just 1km from Entebbe International Airport this is the ideal spot in which to relax after a long flight or at the end of your Ugandan adventure. 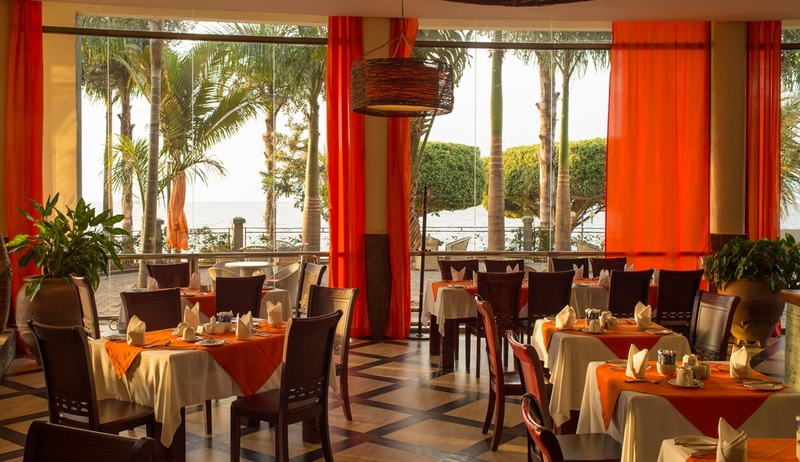 Featuring 73 stylish and well-equipped bedrooms, many of which boast uninterrupted views of Lake Victoria, a fantastic restaurant which offers a truly inviting a la carte menu, a beautiful terrace and bar, a fitness centre, and a welcoming swimming pool, this is the optimal choice for your stay in Entebbe. 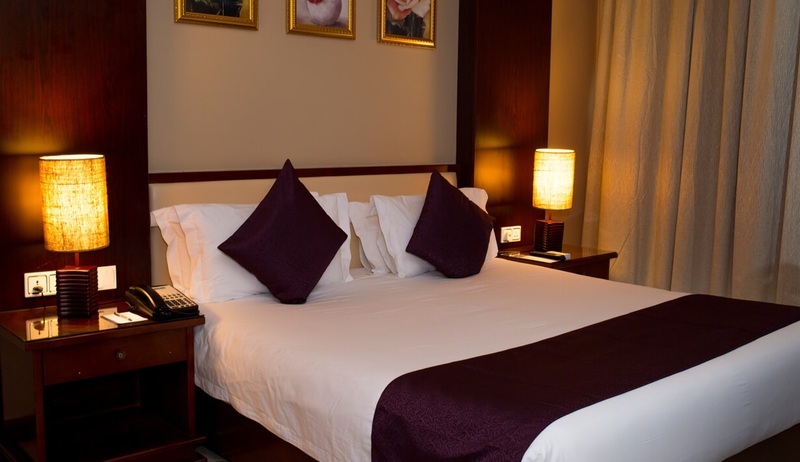 A range of bedroom options are available and each room features an inviting and modern décor, an en-suite bathroom and high-speed Wi-Fi and satellite TV. Deluxe rooms and suites boast a private balcony with views overlooking the lake. 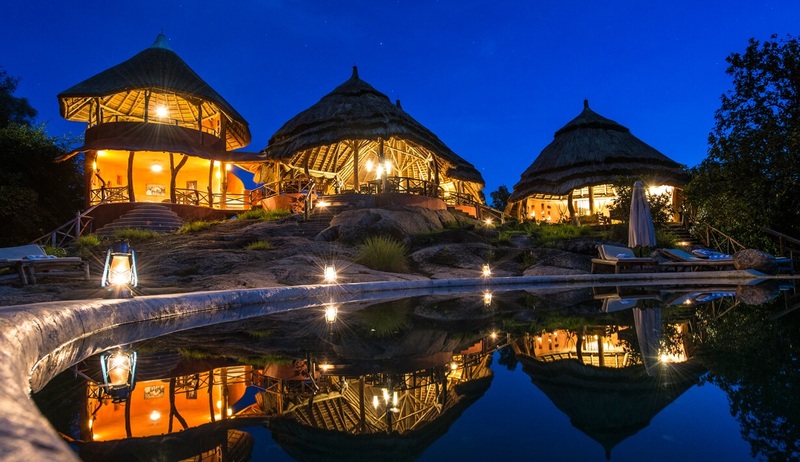 This fantastic lodge located in the heart of Kibale Forest National Park offers the chance to experience the world renowned Ugandan hospitality amidst unrivalled nature and serenity in Uganda’s primate paradise. 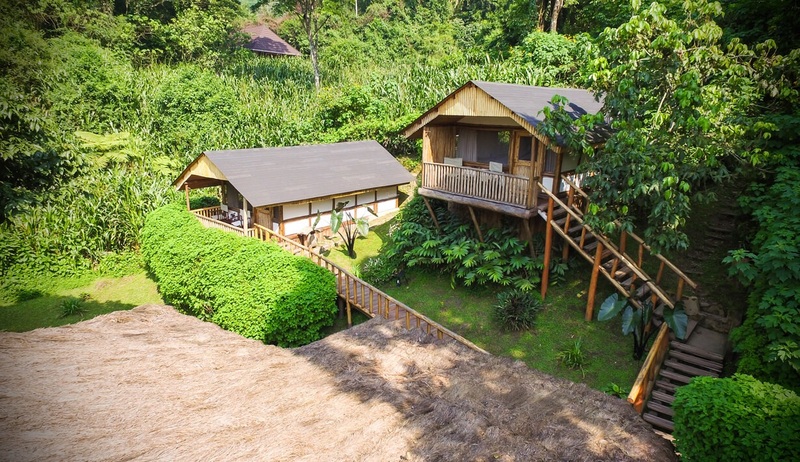 Located right beside the starting point for incredible chimpanzee trekking experiences of the park, Primate Lodge offers a wide range of accommodation options to suit all budgets. Amongst these accommodation options are the nine spacious Luxury Cottages which feature large comfortable beds, sitting areas and en-suite bedrooms. Nestled privately within the forest, each cottage also features a large verandah allowing you to relax and soak up the unique sights and sounds of the surrounding nature. 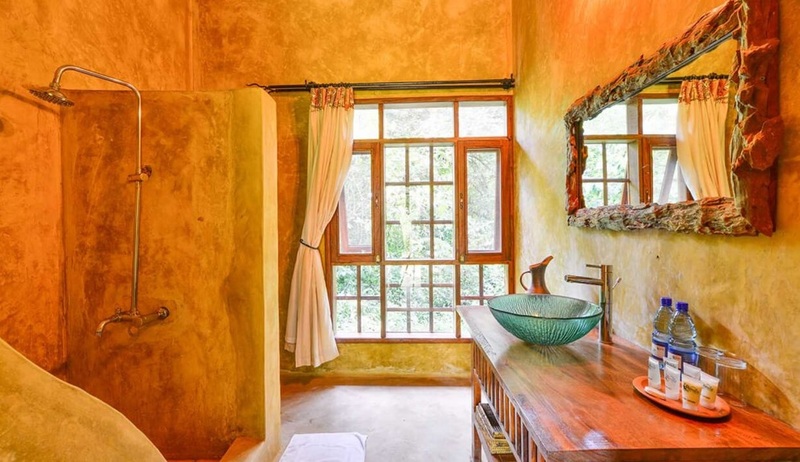 There are also seven mid-range private Forest Cottages which also offer large comfortable beds, en-suite bathrooms and private verandahs overlooking the rainforest, but which offer a little less space than the luxury cottages. 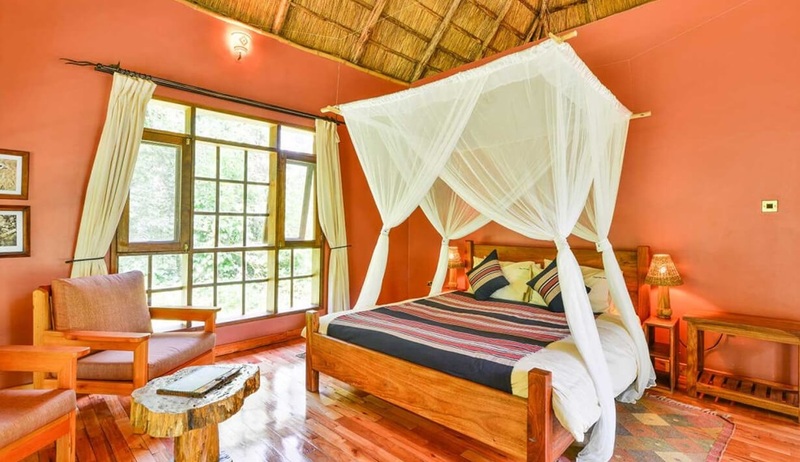 There is also a double storied ‘Elephant Banda’ which has an upstairs bedroom with giant king-size bed, a large downstairs living area, and an extensive elevated verandah which seems to stretch right into the forest. 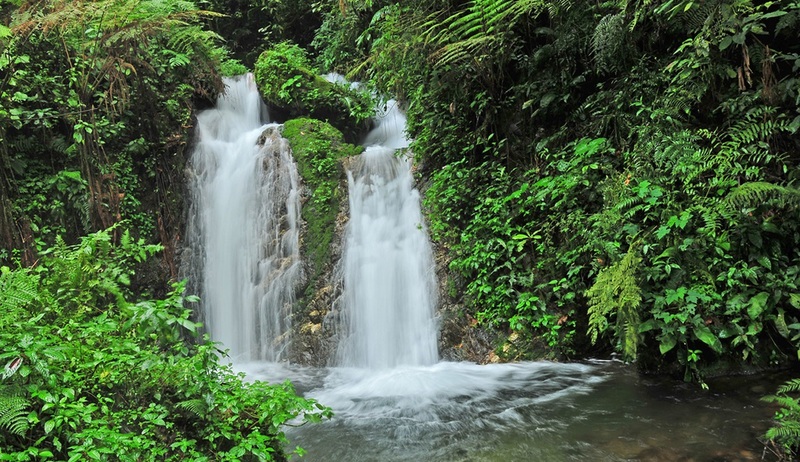 This option is very popular with honeymooners and those seeking a romantic escape. For the more adventurous a unique “tree-house” is available and for the more budget-conscious there is also an adjacent camp site. 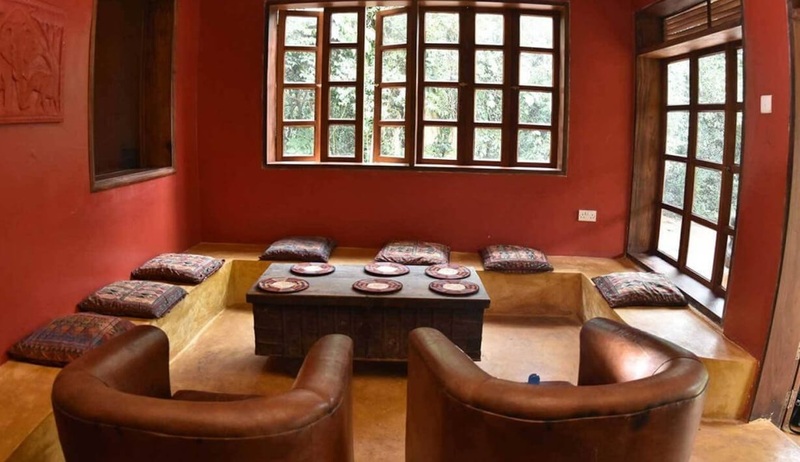 The main lodge area features a spacious dining terrace where delicious home-cooked meals are served, a well-stocked bar, a cosy lounge, evening camp fire and regular visits from the numerous primates that abound in the park as well as forest elephants! 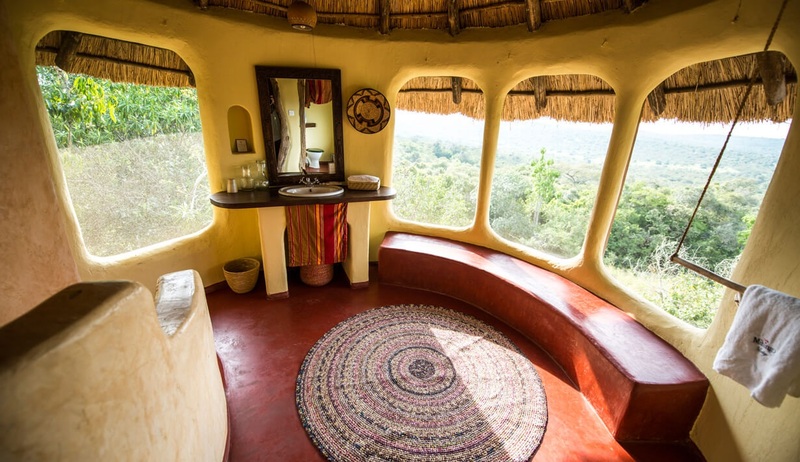 This luxury eco-lodge is located on the Kichwamba escarpment just 15km from the gate of Queen Elizabeth National Park, Uganda’s premier safari destination. 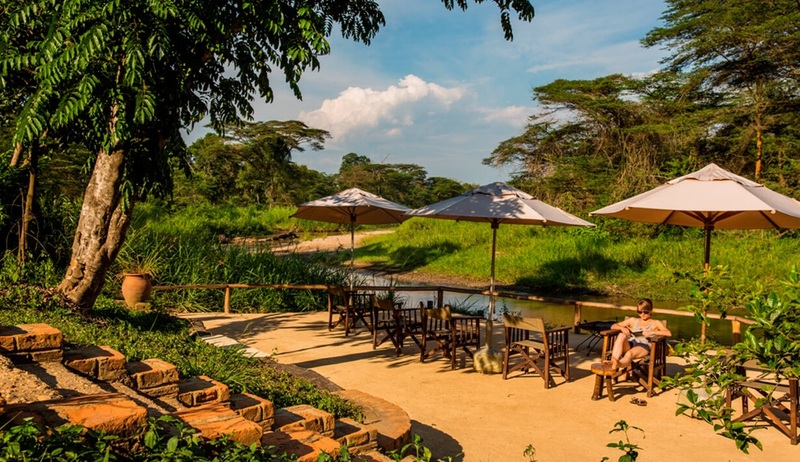 Featuring uninterrupted views of the savannah, Lake Edward and the Virunga and Rwenzori mountain ranges, Katara Lodge is the ideal base from which to explore the park and the many activities it offers. 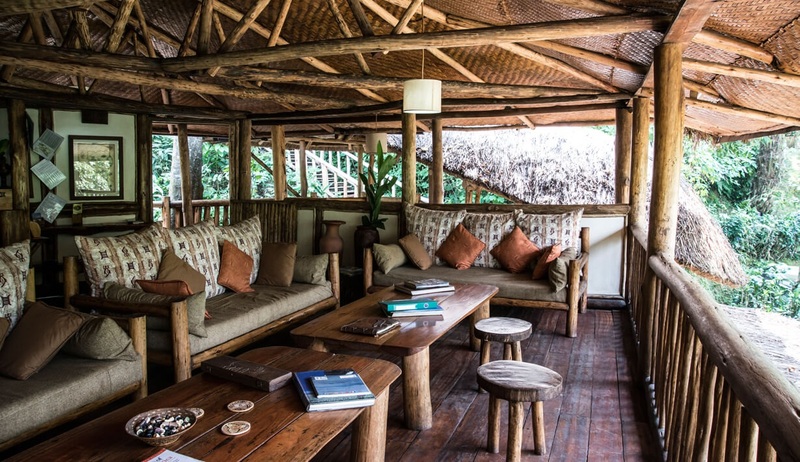 Operated to the highest eco-friendly standards, the lodge features a delightful salt-water swimming pool, and a beautiful thatched main bar and dining area which has been constructed using locally-sourced materials from renewable sources. 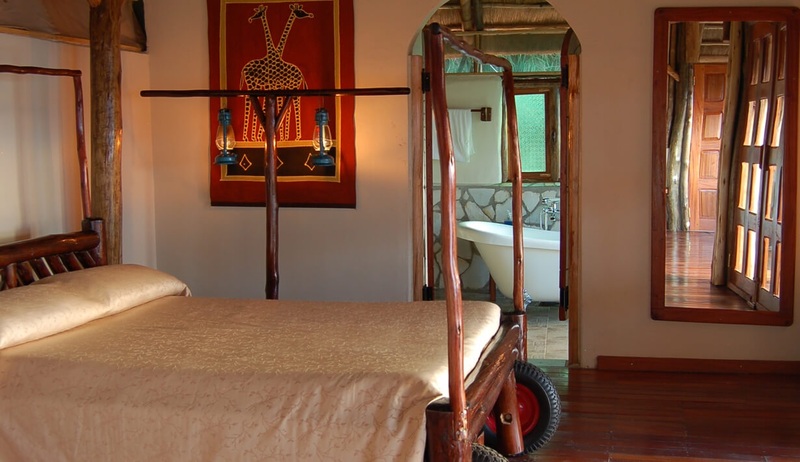 Accommodation is provided in seven luxurious hand-crafted cottages carved into the hillside overlooking the savannah. 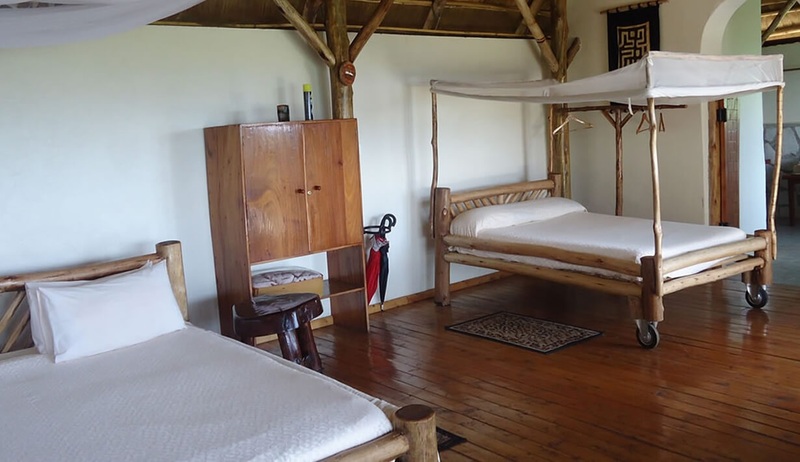 Each spacious luxury cottage offers a large open plan living and sleeping area with a four poster star bed that can be easily wheeled out on to the private verandah for sundowns or sleep-outs under the stars. There is also an extra double bed and the en-suite bathrooms feature a romantic roll top bath or invigorating rain shower. Every element of each cottage has been carefully planned to ensure the highest standards of comfort. There is also family cottage available which offers the same high standards but has two separate bedrooms which share a living area and bathroom. 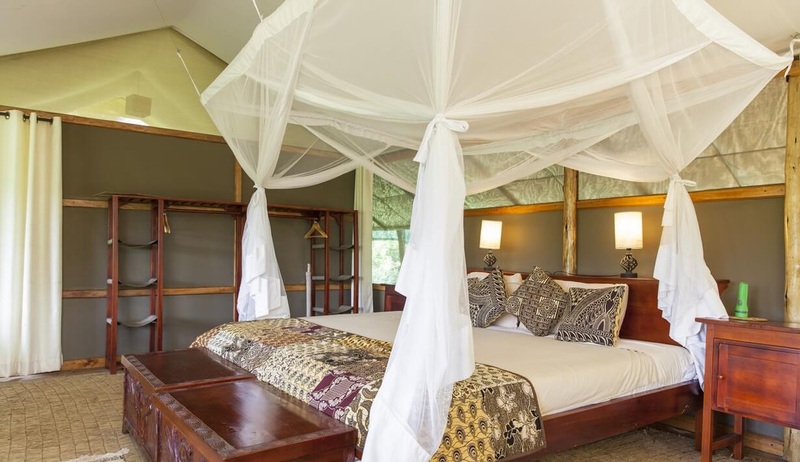 The exclusive Ishasha Wilderness Camp is located on the Ntungwe River within the Southern Ishasha sector of Queen Elizabeth National Park and offers the ultimate in peace and tranquillity. 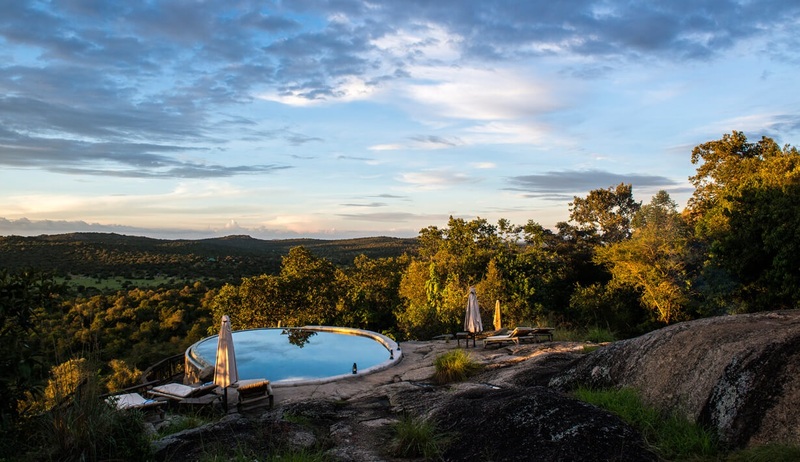 Taking glamping to a whole new level, this idyllic luxury camping spot welcomes both guests and wildlife, with those staying here likely to spot elephants, buffalo and Black-and-White Colobus wandering into camp, as well as possible sightings of the famous tree-climbing lions. 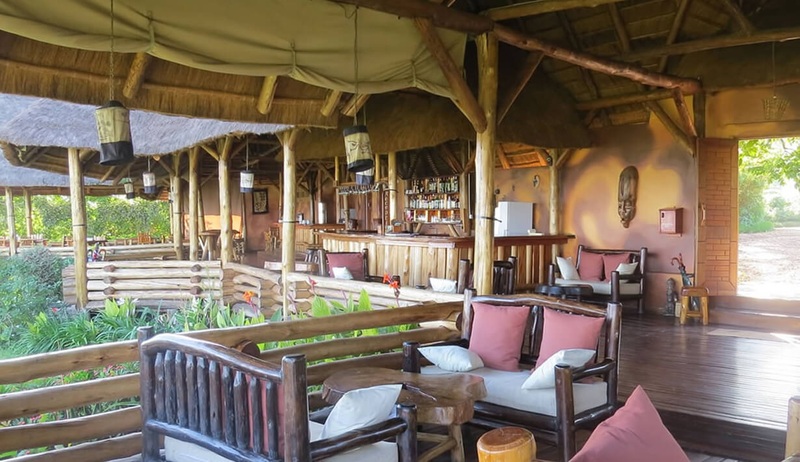 The main camp features a restaurant and bar where freshly-prepared, locally-sourced meals are served either al-fresco or under the cover of the hand-thatched roof, and a curio shop selling local crafts. 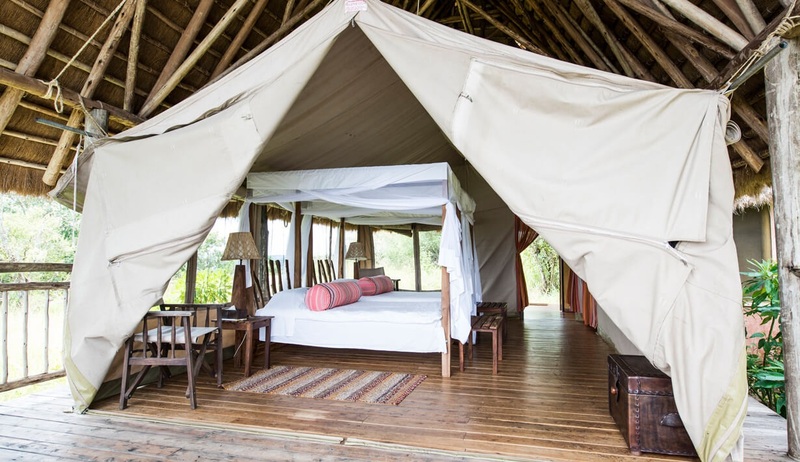 Accommodation is provided in ten spacious, wooden-framed canvas tents privately dotted along the river, which have been stylishly furnished to offer the ultimate in comfort. 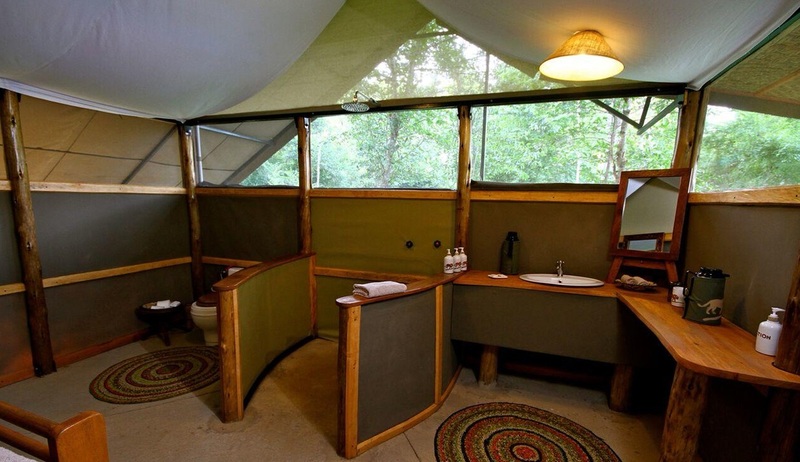 Each tent has a large mosquito-netted bed, en-suite bathroom with hot ‘bush’ shower, and a private verandah overlooking the river. 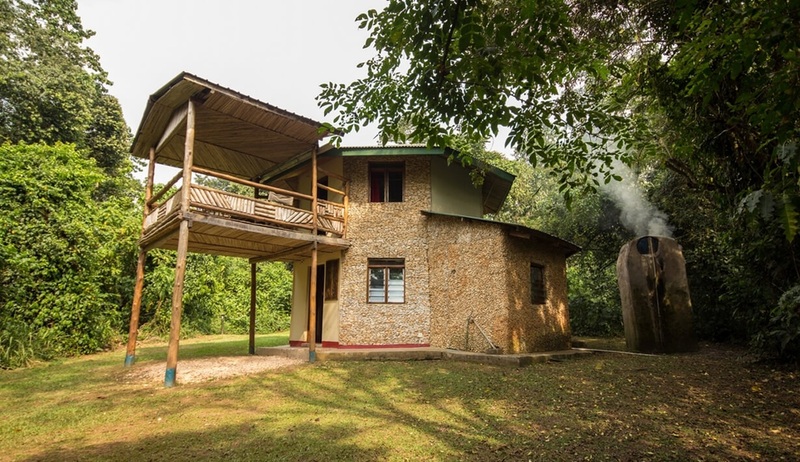 This high-quality, personable lodge is one of only two lodges located within the Bwindi Impenetrable Forest National Park, home to Uganda’s famous mountain gorillas. Featuring spectacular views of the national park, this is the perfect base from which to enjoy all that this unique park has to offer. This excellent lodge offers ten spacious and comfortable chalets which have been individually designed to offer the ultimate in comfort and style. 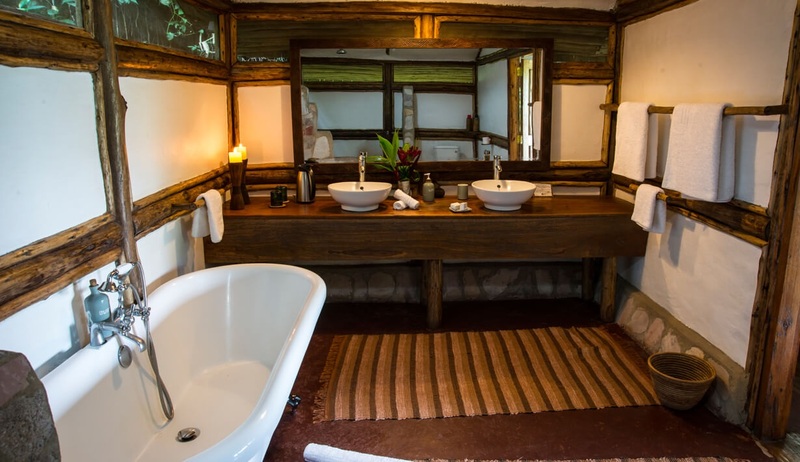 The well-appointed chalets have large comfortable beds, roomy en-suite bathrooms with either rain showers or luxurious roll-top baths, and private terraces offering incredible views over the forest canopy. 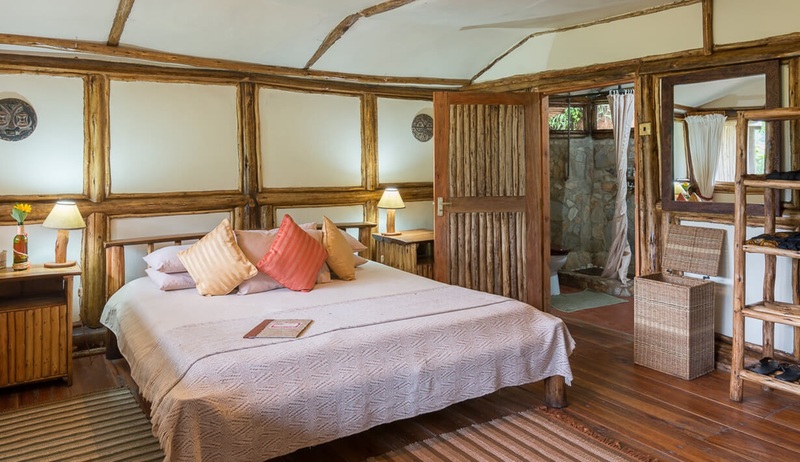 Each chalet has also been designed in an eco-friendly manner using locally-sourced materials, and has solar lighting and insect-proof window screens. The elevated central area features a beautiful lounge area with uninterrupted views and an open-air bar and dining area where fantastic four-course meals are served each evening. Guests are welcome to relax around the open fireside or take advantage of the complimentary massages provided in the lodge’s own spa treatment room. 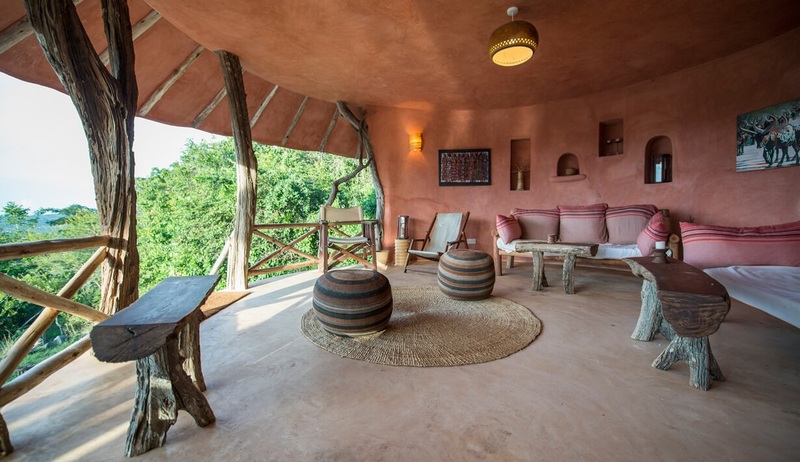 This beautiful, environmentally-friendly lodge has been perfectly designed to effortlessly blend into its fragile and scenic surroundings. 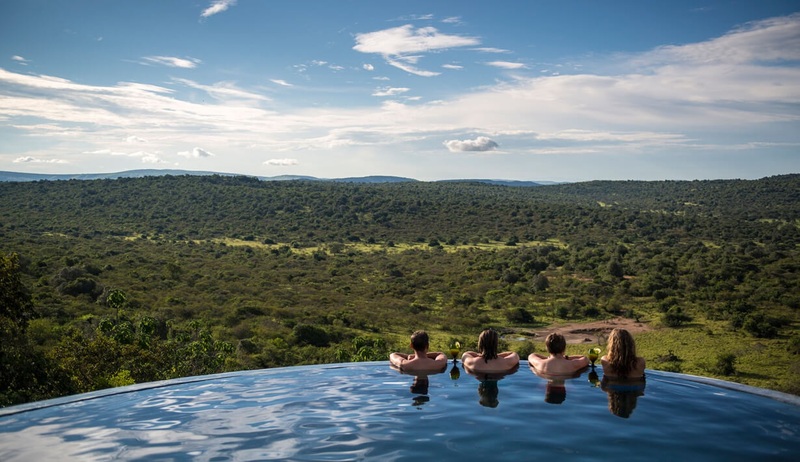 A luxurious and family-owned lodge which features spectacular views over the savannah, Mihingo offers comfort, relaxation and the feeling of truly being at one with nature. 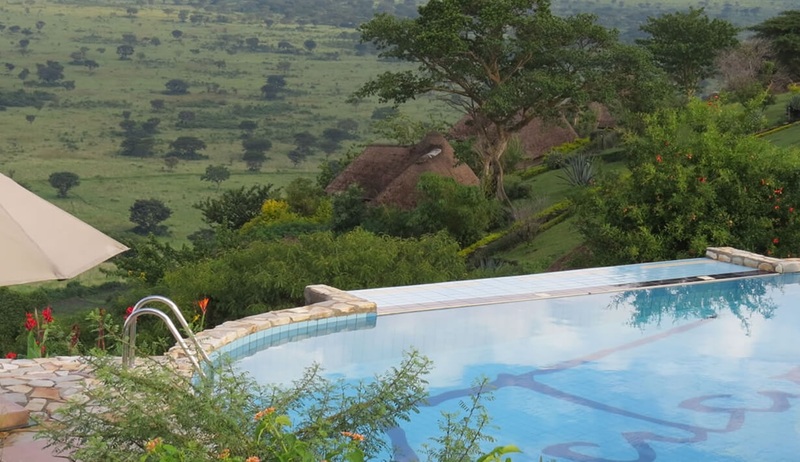 Situated in a magical setting adjacent to Lake Mburo National Park, one of the many highlights here includes the delightful infinity pool which overlooks the valley below where an abundance of wildlife gather at the waterhole including buffalo, zebras and impalas. 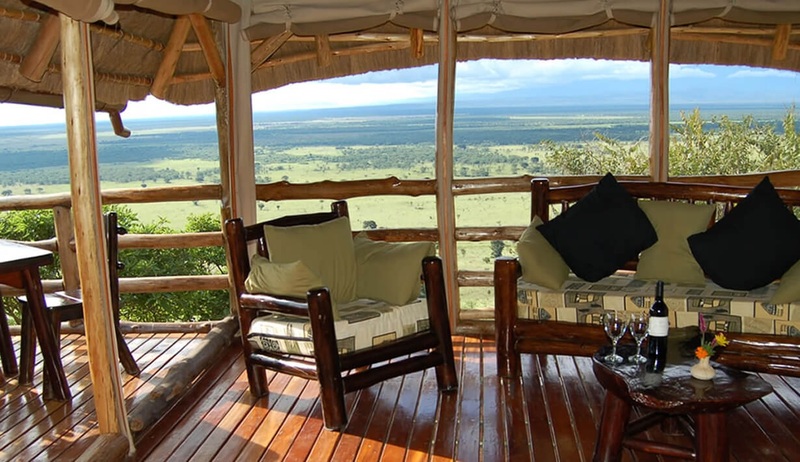 You may be very likely to encounter even more wildlife from the private balcony of your luxury tented room which offers a supreme level of comfort. With its own unique charm and character your spacious tent will provide everything you will need for a thoroughly enjoyable and relaxing stay, including a large en-suite bathroom and sumptuous furnishings. 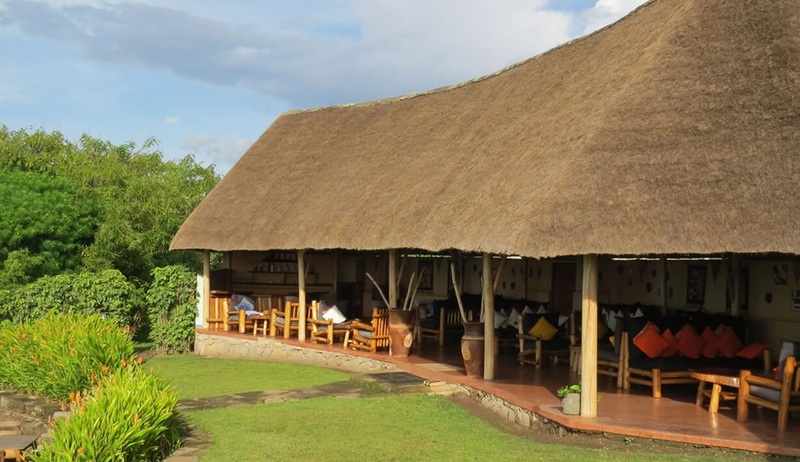 Delicious meals will be served in the spacious, thatched dining area which boasts spectacular views over the park and a busy waterhole, whilst the beautiful bar and the newly-constructed lounge tower with 360-degree views provide the perfect spots to relax after a long day of game viewing and activities. 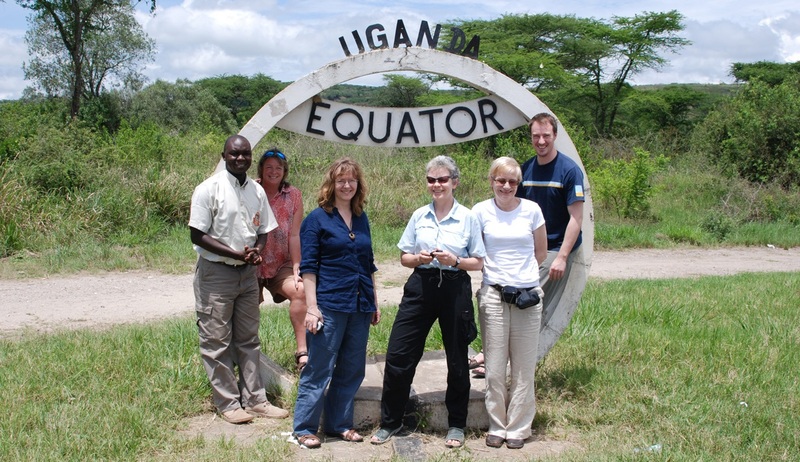 What a super experience – thank you so much making our trip to Uganda everything we wanted. We saw several gorillas, which were our main objective but were absolutely entranced by the variety and beauty of all the birdlife. More emphasis on this needed in your briefings, I would say, but this is a minor criticism since the guides were most knowledgeable and helpful and did all possible to ensure our comfort and safety. No hesitation in recommending you to friends and anybody who will listen! Thank you so much from us both. We needed some suggestions for our African adventure since, although pretty seasoned travellers, this was somewhere we still needed to tick off our list. The lady we spoke to in your office was most helpful. We had seen ‘gorillas in the mist’ on TV so this was a must for us. She understood our needs and looked after us well – I still cannot believe how close our guide was able to get us to a family of these great apes – we now have lots more jealous friends. Thank you to all involved. Thanks for all your help – the very detailed briefing and advice really made our vacation in Africa a true ‘Trip of a Lifetime’. Recommendations follow!